All SUN CITY GRAND-GRANITE FA homes currently listed for sale in Surprise as of 04/23/2019 are shown below. You can change the search criteria at any time by pressing the 'Change Search' button below. 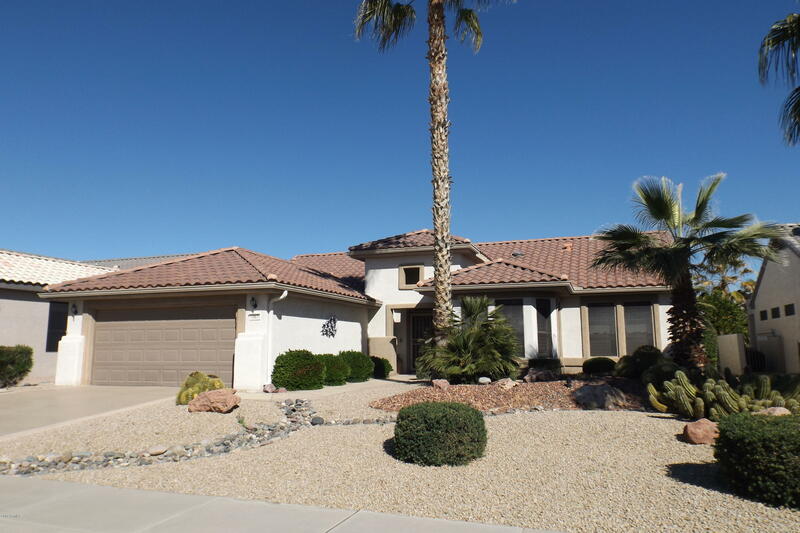 "Numerous up-grades abound in this expanded Palo-Verde model home. Den/Office has been expanded to a 3rd bedroom w/closet & Murphy bed. Bay windows in the Breakfast Nook and Master Suite. Crown mouldings & Plantation shutters throughout. Tiled Hi-traffic areas, built-in Media wall w/electric free-standing fireplace. Tiled counter tops in kitchen w/tiled back splash. Bamboo flooring in Den/3rd bedroom area. Granite tiled Fiaca at kitchen 1/2 wall to Great Room. Ceiling fans in all living spaces. A"